Crowds roar and the intense heat of the arena is enough to boil ones blood. Your adrenaline is high as you ready for the fight to finish. 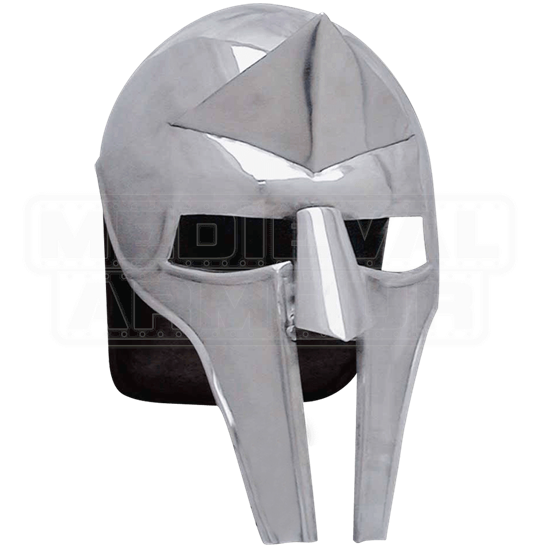 Don this helm and look through the visor to see through the eyes of a gladiator and imagine, just imagine, the life of battle, blood, and glory! Each arena gladiator helm is crafted in 18 gauge steel and made full size for wear ability. The Arena Gladiator Helmet makes a great helm for both collectors and re-enactors of the Roman Era.